*Please use your email address when completing the form. * Please note: The Holy Apostles Library cannot borrow books from other Libraries for our Online Learning students and faculty. We ask that you visit the Interlibrary Loan Department (ILL) of your local public library for this service. ILL requests for journal articles are limited to two per person per semester. Please consult Library Handbook for additional policies. For further information, please contact the Inter-library Loan Department at ill@holyapostles.edu or telephone 860-632-3092. **Access to our Library digital resources is restricted to current Holy Apostles College and Seminary students and faculty. Any remote access to these resources will require the appropriate user Patron ID/Library Barcode at the login prompt. Please go to the “Shared with Everyone” folder of the Files tab in your Populi account to access your Patron ID/Library Barcode. Holy Apostles College and Seminary Library maintains a print book collection of more than 60,000 volumes with an emphasis on Theology, Philosophy, and the Humanities. All of our books are classified according to the Library of Congress Classification System. **Access to our Library digital resources is restricted to current Holy Apostles College and Seminary students and faculty. Any remote access to these resources will require the appropriate user patron ID/library barcode at the login prompt. Please go to the “Shared with Everyone” folder of the Files tab in your Populi account to access your library barcode/patron ID. Holy Apostles Library Journal Holdings – This is the complete listing of all journal titles held by the Library, both in print and with digital access. E-Journal Finder (ResearchIT CT Databases) – This is the complete listing of all journals and newspapers that are currently part of the ResearchIT CT Digital Library. Individual Journal Titles within Databases – Please visit each database separately to see if you can locate a full text of the journal you require. Special Collections unique to Holy Apostles Library include our Pope Francis collection, our Pope Benedict XVI Collection, our Pope Saint John Paul II Bioethics Lecture Series, our Faculty Collection, the publications of the Society of the Missionaries of the Holy Apostles, our M.A. Theses Collection, and our M.A. Special Projects Collection. Archive Collections unique to Holy Apostles Library include the writings of Fr. Eusebe-Henri Menard, O.F.M., the Archives of the Society of the Missionaries of the Holy Apostles of the Province of the USA, and the Archives of Holy Apostles College and Seminary. At All Times…in Every Age… Franciscan Herald Press, Translated by Paul Schwartz from the French. 1977. Ménard, Fr. Eusèbe-Henri, O.F.M. La Revolución del Amor : Para realizarla hacen falta laicos comprometides Coedicion Ediciones Tripode and Misioneros de los Santos Apóstoles [nd, 1988?] Ménard, Fr. Eusèbe-Henri, O.F.M. La Révolution de l’Amour : Pour la faire, des laïcs engagés sont indispensables. 1985. Ménard, Fr. Eusèbe-Henri, O.F.M. À Tout Heure… à Tout Âge… Le Christ Appelle à le suivre Gibert-Clarey, Tours 1968 Ménard, Fr. Eusèbe-Henri, O.F.M. Les Vocations Tardives (Vocations de Jeunes Gens et d’Adults) et le Séminaire des Saints-Apôtres Éditions Apostolicum Montreal 1955 Ménard, Fr. Eusèbe-Henri, O.F.M. 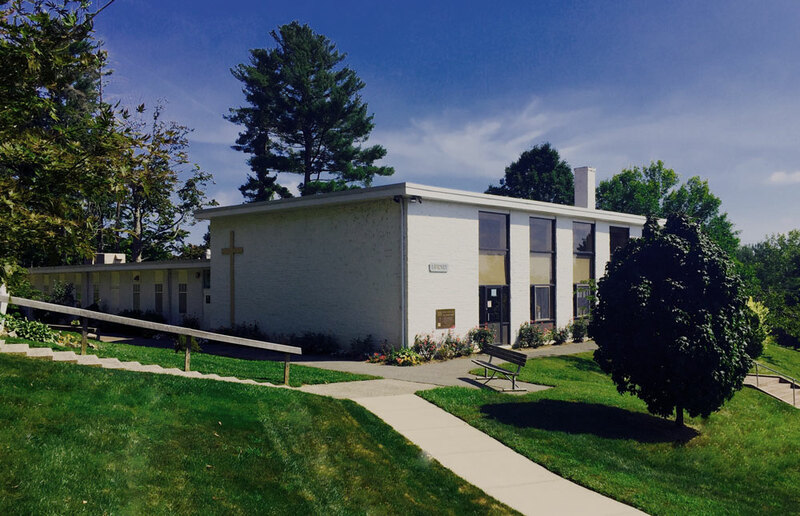 In addition to the many resources available at Holy Apostles, we have also compiled a listing of external resources that may prove useful to our students and faculty. Click here to be taken to our external resource list. Develop, implement, and promote a campus-wide policy that addresses the copyright legislation of Title 17 U.S. Copyright Code, the DCMA, the TEACH Act, and future updates to this legislation. Develop, implement, and promote an educational program of guidelines to inform all faculty, students, administrators, and relevant staff of U.S. Copyright legislation as it pertains to an academic environment. Ensure that Holy Apostles College and Seminary meets the requirements of copyright compliance set forth under Title 17 U.S. Copyright Code, the DCMA, the TEACH Act, and future updates to this legislation. The CCC meets March, June, and October. Please send inquiries to the Chair at copyright@holyapostles.edu or 860-632-3011. TEACH Act of 2002 (“Technology, Education, and Copyright Harmonization Act) – The TEACH Act redefines/updates section 110(2) for newer transmission technology, most commonly considered in online education issues. The mission of the Holy Apostles Library is to support the academic and formation programs of our college and seminary. The Library is also committed to providing access to information resources that promote lifelong learning. 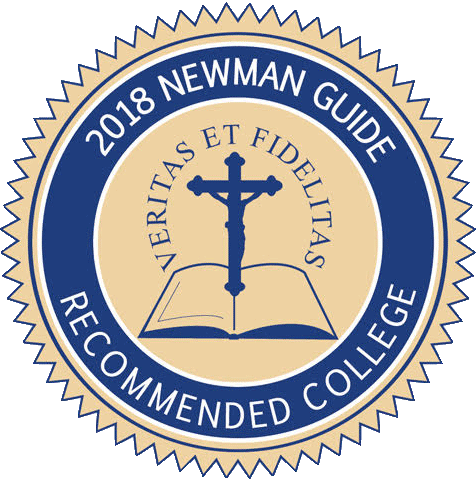 As a Catholic institution of higher education, we strive to preserve our Catholic heritage through carefully defined resource acquisition and collection development policies. The reference and circulating book collections reflect this mission. These collections contain more than 60,000 print volumes with an emphasis on theology, philosophy, bioethics, and the humanities. We retain unique materials in our established special collections and archives departments, including the Pope Francis Collection, the Pope Benedict XVI Collection, the Pope Saint John Paul II Bioethics Collection, the Archives of the Missionaries of the Holy Apostles, and our archives. The Library subscribes to over 200 print and electronic newspapers and serial collections, as well as to specialized Catholic and theological databases and eBooks. The Library also benefits from the digital resources available through the researchIT CT database program of the Connecticut Library Network (CLN). This unique state-funded service permits our students and faculty to access electronic resources in a variety of subject areas beyond our core collections. Housed within the Library is a computer classroom. The Library is committed to providing the technology necessary to support the intellectual and spiritual activities of our students and faculty. Continuous upgrades of our computer classroom facility enable our students to conduct research and produce reports on-site. Our wireless networked environment allows students to utilize their own laptops and portable devices to access our library resources. The Library also provides on-going reference services, as well as information and computer literacy programs, to our on-campus and distance learning communities. As a resource center for the Magisterial documents of the Catholic faith, the Library also recognizes its value to the surrounding communities and places great care in the cultivation of resource sharing. To support this commitment, Holy Apostles Library participates in several interlibrary lending programs. Through the CLN’s ReQuest system, we share resources with over 300 participating Connecticut Libraries. As members of the American Theological Library Association (ATLA), we also enjoy reciprocal borrowing privileges with member libraries.